Children as young as 12 years old were among the Irish female convicts in 1848. They had been sentenced to seven years transportation and imprisonment to Australia . This is the story of some of these Irish women and children. It follows some of them from their conviction and incarceration in Grangegorman Prison in Dublin 7 Ireland, where they wait to board the convict ship. I explain what happened to them when they arrived in Australia as convicts. How they were treated and their eventual release. I have traced some of these womens' decendants and have family trees dating right up to the present day. They had to spend three months at Grangegorman Female Penitentiary in Stoneybatter Dublin 7 before they were transported to Australia as convicts. 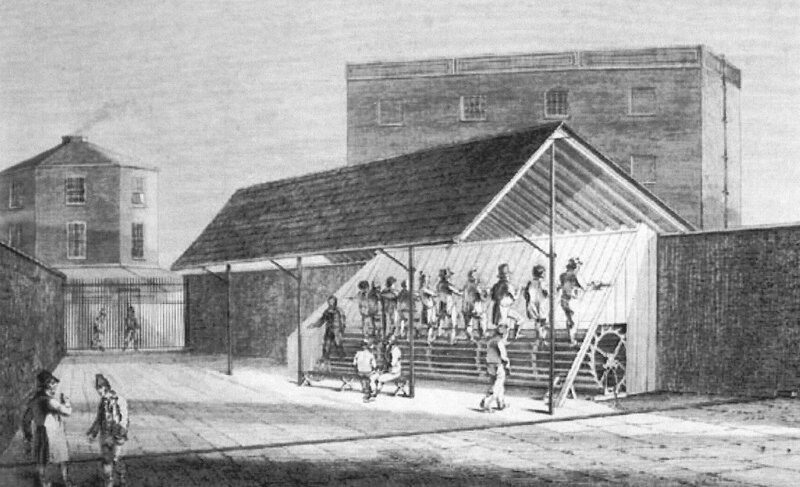 The centralization of all convicts who received a sentence of transportation to Australia was necessary at the time. The authorities in Australia had complained to the British Government. They had reported that the female convicts who had already arrived at Hobart had no skills and therefore had no way of supporting themselves once they arrived in Australia. So the British Government decided to gather up all the female convicts who had been sentenced to transportation and were in prisons all over Ireland. They were sent to the prison in Grangegorman in Dublin 7 where they had to spend three months learning skills that would make them employable once they were transported. They were to be trained in skills that would allow them to be sent out to work for the free settlers in Australia as part of their sentence. This rule applied to young children under sentence of transportation too. About fifty cells were used exclusively for these convicts. They did not mix with ordinary prisoners. They exercised and ate separately. Their training consisted of sewing, knitting, cooking and laundry service. It was designed to give them the skills needed by them when they would arrive in Australia as convicts and be assigned work duties as house servants. Up till then the women were put in the jails in Australia and left there for years because they were not capable of outside work. The free settlers would not take them on. This was costing the Australian Authorities out in Hobart a lot of money because the convicts had to be housed, fed and guarded in the prisons. Breakfast: 8 oz of oatmeal in stirabout and 1/2 pint milk. Dinner: 14 oz of bread and 1 pint of milk. Supper: 6 oz of bread and 1/2 pint milk. 3 times a week they got 3 lbs of potatoes instead of bread. The women and children got slightly less than the men. Once the famine started and potatoes were in short supply, the prisoners were given substitutes. The prison system in Ireland could not cope; there was overcrowding and the cost of keeping the prisoners in jail was too high. In order to deter the people from committing crimes so that they could get imprisoned and fed, the food rations were drastically reduced. This had no effect on the numbers; all it did was create more misery for the inmates and save the government on the food bill. Something had to be done, so sentences of seven years or more of transportation to Australia was increased. In 1848, there were 171 female prisoners and their children who left the Grangegorman Female Penitentiary in Stoneybatter and boarded the convict ship the ‘John Calvin.’ It left Ireland on 22nd January 1848 and arrived in Hobart Town, Van Diemen's Land ( now Tasmania) on 18th May 1848. Also on board were free settlers who were to join their relatives already out in Australia. They were Daniel Kelly, his wife and five children. Mrs Heats and her three children. Mrs Finerty, with one child. A Matron for the convicts, Mrs Sproule and her 5 year old child, were also on board. The Banishment Act came into force in 1716. This allowed the British Government to transport convicted prisoners of both England and Ireland wherever they chose. At first the convicts were sent to penal colonies in America. The American War of Independence soon put a stop to this in 1776. 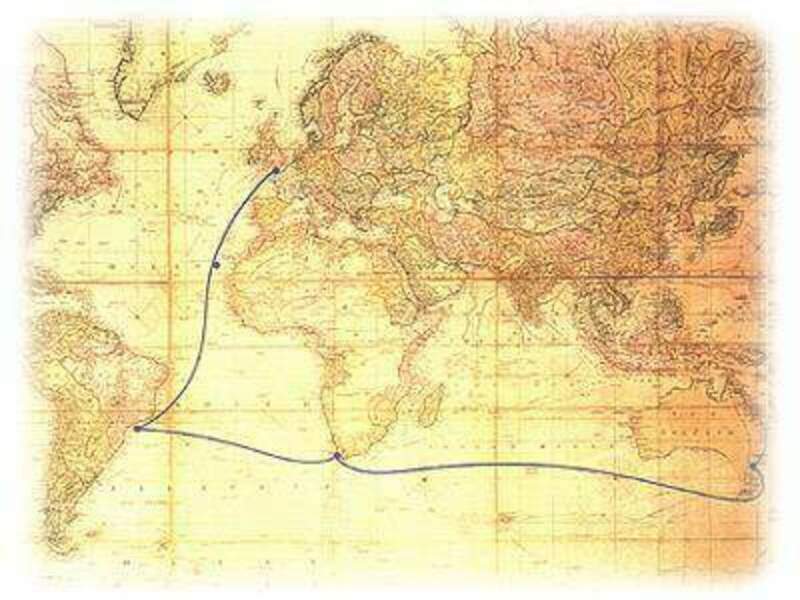 By 1848, punishment for petty crimes were now at least seven years transportation to Australia. Age of the convicted prisoner did not encourage to courts to be lenient. Children as well as adults received these sentences. In a letter dated January 13th 1848, T.M. 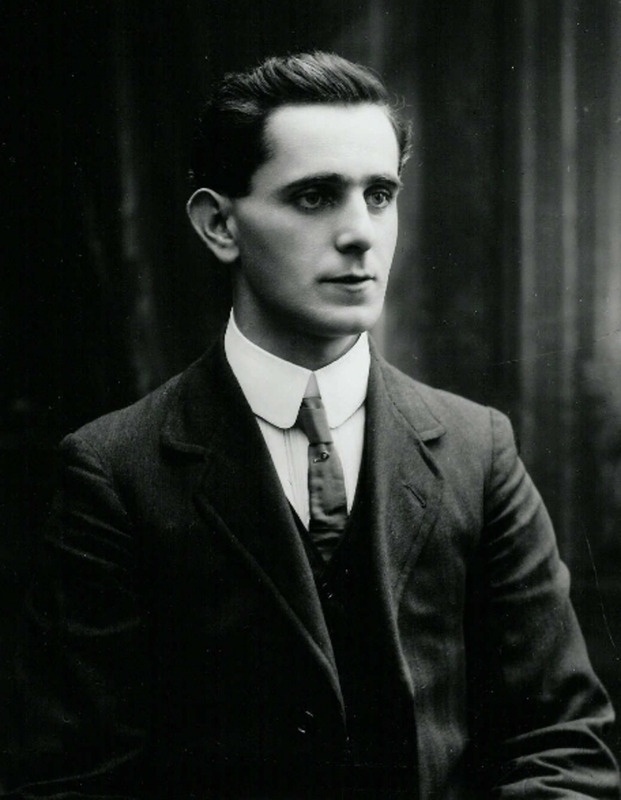 Redington, the Under Secretary for Ireland wrote to Mr R. Tully telling him that potatoes could not be obtained except at the high price of £120 to £140. He informed him that the potatoes were to be substituted by farinaceous food. Lieutenant Tully had already bought the potatoes and wrote to Redington to tell him so. Redington replied to him the same day. I have to acknowledge the receipt of your letter of the 17th instant and beg to acquaint you that as seven tons of potatoes have been already shipped and the remainder has been purchased the Lord Lieutenant considers that under present circumstances you should proceed to carry out the direction of the Admiralty. So the female convicts on the John Calvin got their potatoes in spite of the famine. On 9th November it was also requested to D Le Marchant that 170 suits of women's clothing be purchased, with 20 suits of girls clothing, two sizes, and 20 suits of boys clothing, two sizes. This was to be used by the convicts on the John Calvin. A matron for the convict ship was also appointed. The Governor of the Convict Depot Grangegorman Lane Dublin. Sir I am directed by the Lord Lieutenant to acquaint you that His Excellency has been pleased to appoint Mrs Sproule to be Matron of the convict ship, John Calvin. Her appointment to date from 5th instant. His Excellency deems that a sum of ten pounds may be advanced to purchase necessities for the voyage and the remainder of the gratuity of £30 may be placed in the hands of the Surgeon of the ship, (taking his receipt for same,) to be handed to Mrs Sproule on arrival at Hobart Town. Except when circumstances should have occurred during the voyage which would call for an inquiry, when it is to be placed in the hands of the Governor of the Colony. His Excellency has also been pleased to permit Mrs Sproule's child, aged 5 years to accompany her. I am yours T.M. Redington. The convict ship, the John Calvin left Kingstown on 22nd January 1848 with the female convicts on board. Their journey to Australia had begun. They arrived at Hobart Town on 18th May 1848. There were no deaths among the convicts. After spending three months at Grangegorman Female Penitentiary they had sufficient training to be sent out to work in the houses as servants. This was a great improvement for the convicts and the Free Settlers who used them. When the first shipments of female convicts arrived they were not fit to work for the free settlers. In 1836, Dr John Polding, then Vicar - Apostolic of New Holland, and later Archbishop of Sydney, wrote to Mother Mary Aikenhead in Dublin asking her to consider sending out some of her nuns to Australia. He visited Europe in 1837 and went to see her. He explained the terrible conditions that the convicts were living in, giving her a pamphlet entitled, ' The Catholic Mission in Australia.' It outlined the spiritual deprivation, misery and cruelty that they were experiencing. Mother Aikenhead circulated this pamphlet to her convents in the hope of getting volunteers to make the journey. There were five nuns who were eager to go. They were Sister M John Cahill, Sister M Francis de Sales, Sister M Laurence Cator, Sister M Xavier Williams and Sister M Baptist de Lacey. They brought with them a copy of their Constitutions, all the exhortations, spiritual papers; alter linen, vestments and plenty of books. They left Kingstown for London. After a brief delay they left Gravesend on the ship ' Sir Francis Spaight ' for Sydney Australia on August 8th 1838. Doctor Ullathorne was on board and it was agreed that he would take charge of the Sisters for the duration of the journey. Also making the trip were three Catholic priests and five Ecclesiastical students. It took four months to get to Sydney; they arrived on 31st December 1838. The next day, 1st January 1839, Mass was celebrated in St Mary's Cathedral with the nuns and priests at the alter. Everyone was delighted to see them and they received a great welcome. The nuns stayed at Polding's house for a few weeks, then took up residence in Parramatta. 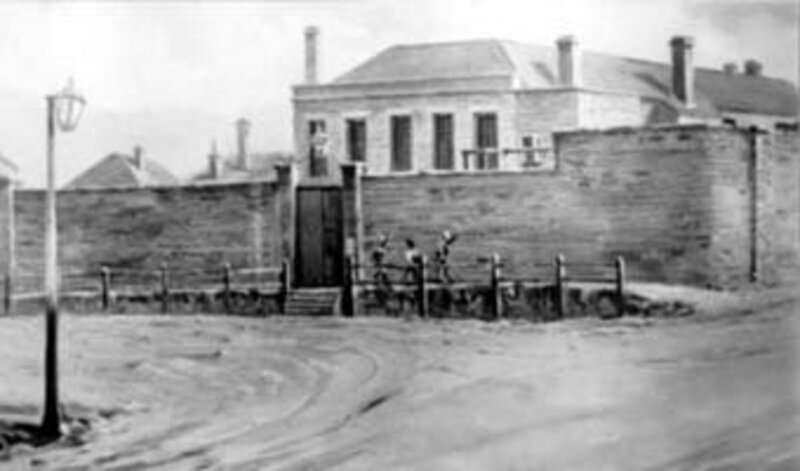 The female prison housed approximately eight hundred convict women and three hundred convict children. 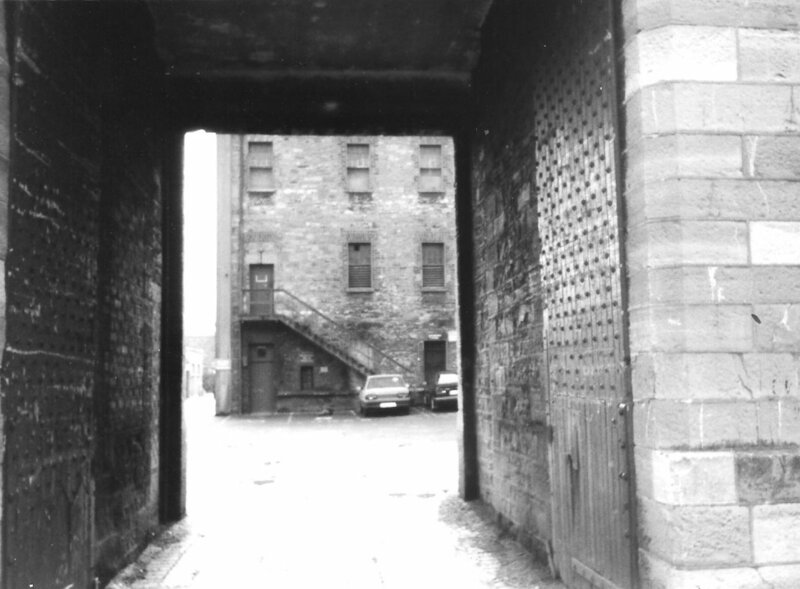 It was known locally as the ' Female Factory'. When the nuns first entered the prison the women were disrespectful to them, swearing and fighting all the time. The ' hard labour ' they were forced to do did not help the situation. 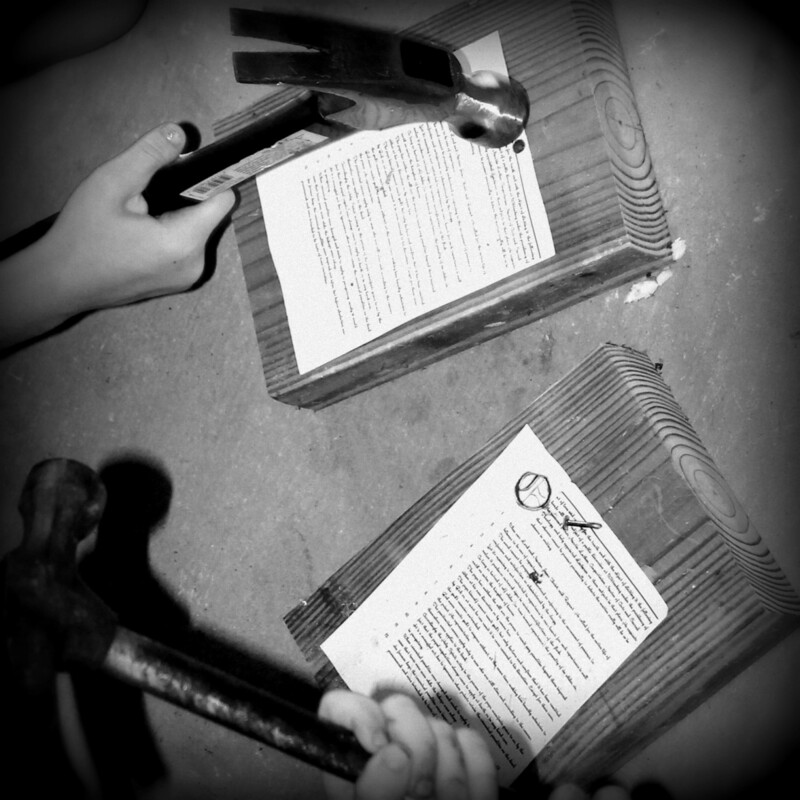 They spent their time breaking stones and sawing wood. But they soon set about changing things for the better. Five mornings and evenings a week they came to the prison to read and pray with the women. Each nun sat on a chair in the yard with her own group of prisoners sitting on the floor around her. She spoke to them with respect and listened to them. After a very short time the women's attitude changed dramatically towards the nuns and the prison authorities. Soon the swearing and fighting stopped. The only priest responsible for visits had earlier refused to enter certain parts of the prison because of the abuse he received. Now he had to get another priest in to help him because so many of the women wanted confession and communion. The nuns of the Sisters of Charity needed to get the Governor of the Colony George Gipps, to agree to open a laundry and a needlework room. Mother Mary John and Sister Mary Baptist made an appointment to see him. He assumed they had come to ask for payment for the work they were doing in the prison. They refused any wages and instead asked permission to change the working conditions of the women. The Governor was already impressed by reports he had received from the prison and readily agreed. Both laundry and needlework was taken in from outside and proper employment began. With the women's behaviour improved and their training in laundry and needlework they were equipped to be sent out into the community as servants and housemaids.Only about two thirds of the women were Catholics, but a lot of the others soon wanted to be converted. The nuns also visited the men's prison, especially the condemned cells. They were sometimes told not to visit certain prisoners as they were too dangerous and their safety could not be guaranteed. The nuns went to all the prisoners and they were never attacked. 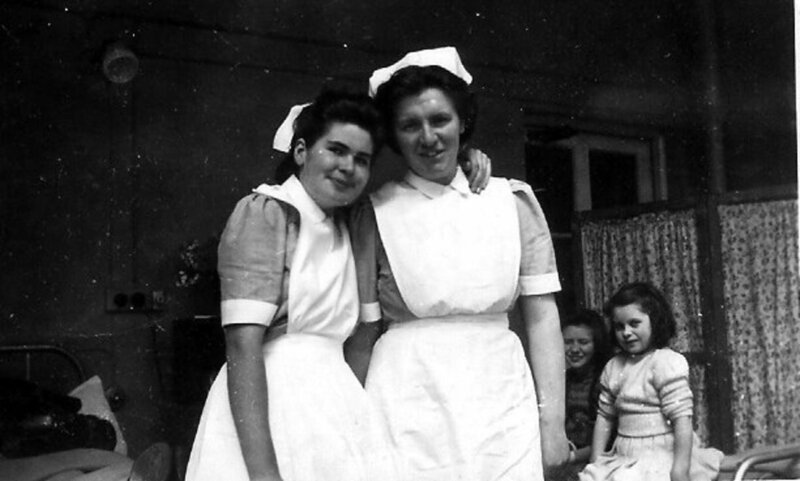 They went to the women's hospital once a day and paid regular visits to the poor in their homes. On 13th June 1847 three of the nuns from the Sisters of Charity left Parramatta for Hobart Town, Tasmania. They also visited the children at the Orphan School in Parramatta. The following year the Female Factory closed down. The remaining Sisters along with new novices went to Sydney Town where they received as a donation. a mansion overlooking Sydney Harbour. They turned this building into St Vincent's Hospital in 1857. They went on to open more convents, hospitals and schools all over Australia. St Joseph's Convent in Hobart Town was opened in 1847, a year before the women convicts arrived there on the ‘John Calvin’ Convict Ship on 18th May 1848. A mother and her three daughters all sentenced to seven years transportation to Australia. Four convicts who arrived that day were related. Bridget Cuddihy was a widow and fifty years old. She was sentenced to seven years for sheep stealing. Her three daughters were also convicted of the same crime, each of them receiving seven years. They were, Honora Cuddihy, aged twenty three, Mary Cuddihy, aged eighteen and Catherine Cuddihy, aged seventeen. Usually if prisoners felt their sentences were too harsh they sent a petition to the authorities. Neither Bridget Cuddihy or any of her Daughters Applied for Leniency. They had been left in Ireland during the famine years with no means of support. Bridget's son Daniel had been transported to Australia five years earlier. He had been found guilty of burglary and assault. It is possible that rather than die of starvation in Ireland the Cuddihy women decided to be convicted of a crime to get transported to Australia. Daniel Cuddihy was twenty four years old when he was found guilty along with John and Michael Seymour in Nenagh on 2nd August 1843. All three received a sentence of fourteen years transportation. From the petition they sent to the Lord Lieutenant, Earl De Grey explaining the evidence produced in court, a miscarriage of justice is likely. The three men were accused of entering a house and attacking the owner, a Mr Pat Conroy. In court the policeman who arrested the men stated that only three quarters of an hour after the assault was reported, he went to the house of the three accused. There he found the men asleep in bed. Mr Minogue a so called witness to the assault was so obviously lying that the judge ordered that he be arrested as he left the court and be charged with perjury. It was also stated in court that the ' victim, ‘Mr Conroy had a grudge against the two brothers John and Michael. Bridget Cuddihy had been a widow for thirteen years when she was transported. Four years after arriving in Australia as a convict she married Thomas Barr on 25th October 1852 in St Joseph's church in Hobart. He was also a convict and fifty two years old. Bridget died when she was sixty three in hospital from complications due to diarrhoea. Honora Cuddihy married John Early three years after arriving in Australia as a convict on 13th October 1851 in St Joseph's church in Hobart. He was twenty eight years old and also a convict, but worked as a boot maker. They had two children. Anne was born in 1852 and Bridget in 1854. Mary Cuddihy married Mathew Hares ten years after arriving in Australia as a convict in 1858 in Emu Bay, just outside Hobart. Their first child Robert was born in 1858 and they had three more sons and a daughter. Catherine Cuddihy had a son, William four years after arriving in Australia as a convict in April 1852. She married his father, Thomas Kilroe in August 1852. She had nine children, six sons and three daughters. James was born in January 1854, then Richard in February 1855 who was stillborn and Margaret was born in September 1856. On 29th April 1858 she got her Certificate of Release. Why she served ten years and not the seven she was sentenced to is unclear. She immediately placed her three children, Joseph age six, James age four and Margaret age nineteen months into Queen's Orphanage in Hobart. Six months later she picked up Margaret and collected the two boys in December of that year and she was pregnant again. Ambrose was born in June 1859. The following year James died at the age of six from water on the brain. Thomas was born in November 1861, then Mary Ann in December 1863, Theresa in December 1866 and Robert in August 1870. Catherine’s eldest child William became a boot maker. He married Mary Rosman in Hobart in 1880. They had seven children. Ambrose her third son, married Jane Turner in Melbourne in 1880. He was a Master Mariner and they got a special licence to marry in the Melbourne Cathedral, because they were on board ship en route to Sydney. They had six children. Ambrose died in Sydney in 1914 from cancer. Thomas James Kilroe was Catherine's fifth son. He was also a boot maker like his father. He married Sarah Ann Kelly in Sydney in 1892. She was an upholsterer. Thomas John was born in March 1894, then came Maude in 1896. They moved to Brisbane where Marion was born in 1900. Thomas died in 1931 and Sarah in 1938. Thomas John Kilroe married Violet Davidson and they had a large family. Their second youngest daughter Yvonne was born in 1927. She married Douglas Dolan in April 1949 in Brisbane. They had one child, James who was born in 1949. In September 1966 Yvonne and her father Thomas were killed in a road accident in Brisbane. James Dolan was born in 1949 and lives in Brisbane today. He is married with children. Catherine Cuddihy, transported to Hobart in 1848 from Ireland, is James Dolan's great great grandmother. Catherine Cuddihy. Catherine’s son Thomas James Kilroe. Thomas’s son Thomas Kilroe. Thomas’s daughter Yvonne Kilroe. Yvonne’s son James Dolan born 1949. 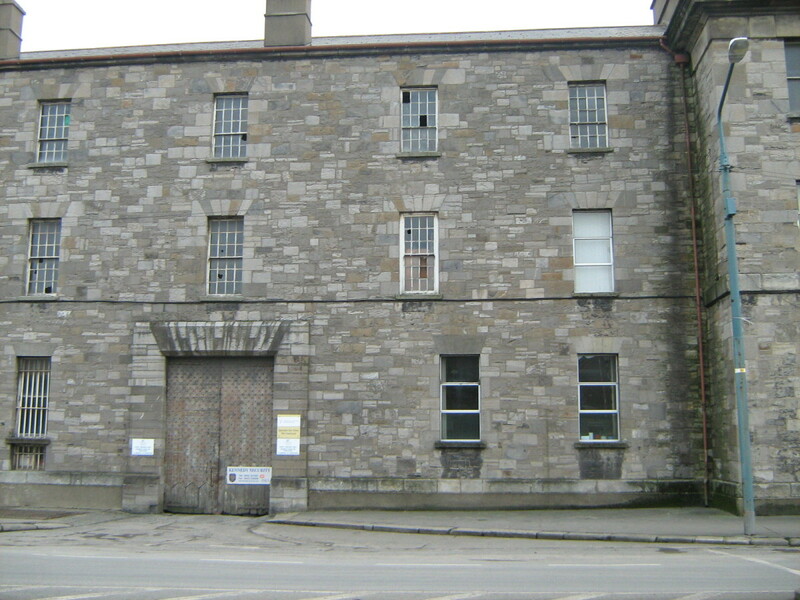 Grangegorman Female Penitentiary in Rathdown Road, Stoneybatter Dublin 7. is where the women of the Cuddihy family were sent. They left on the convict ship The John Calvin after being sentenced to transportation to Australia for their crimes. They knew they would all starve to death in Ireland during the Famine of 1848. As can be seen from the evidence above they did go through a horrendous journey physically and mentally but this family and many others became Australians and prospered in their new country. Some of the women and children who were sentenced to transportation to Australia had no choice and were torn apart from their families in Ireland. When they boarded the convict ship The John Calvin in 1848 as convicts they were terrified. They did not know what lay ahead for them as they left Ireland from Dublin bound for Hobart Town in Australia. A lot of these Irish women and children did prosper but only after harrowing years as convicts. They married and had children of their own. 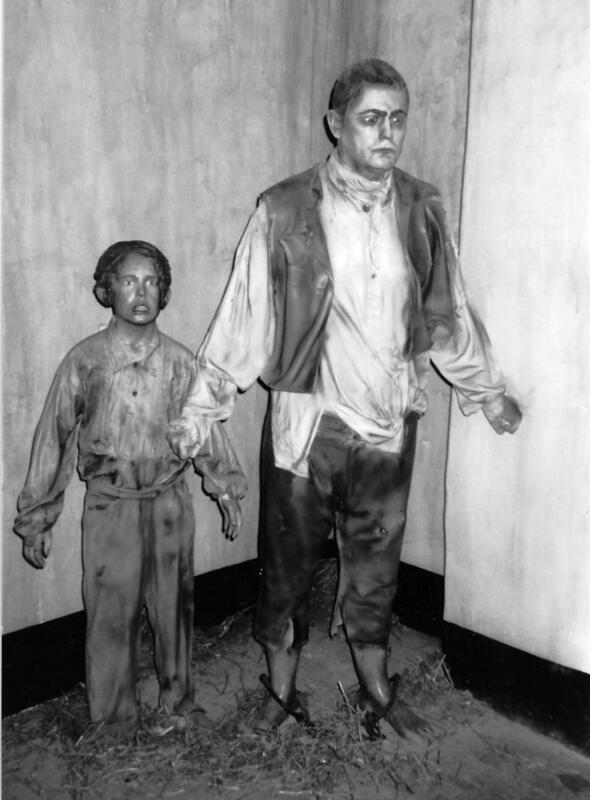 Generations of Australians are descended from these young terrified Irish convicts who were forcibly transported from Ireland over two hundred and fifty years ago. The image you have used is not a sketch of a female prison but the court in Murray Street Hobart. Thank you sally it is fascinating to find out the way our ancestors lived and what brought them to the place they were. A very sad time for all Irish Convicts but a lot of them did go on to lead great lives in Australia and rear families that have ancestors still there today. Very interesting article. I have visited Hobart as I have family members living there. Tasmania has a fascinating history when it comes to convicts. I recently came across one who may or may not be one of my own relatives dating back to the late 1800's. Yes Rangoom we are a very resilient people. Thank you for taking the time to leave a comment. Thank you Jemima for your kind comments. I am glad you were able to find out a bit more about your Irish descendants from my article. Your articles regarding Irish women convicts to Australia and especially Tasmania are very much appreciated. They give so much detailed background information on Grangegorman Prison Female Penitentiary. I'm wondering if there is copyright on the Grangegorman photos and if so is it possible for me to have permission to use them for a published article. Happy to acknowledge. Several of my woman ancestors went from Ireland to Tasmania and at least one was lodged there. There has been so much sadness and tragedy in Irish history, and yet the Irish remain strong and enormously influential throughout the world. Yes researching the lives of some of these women was fascinating. Their journey out to Australia was harrowing and then their time as convicts was equally challenging. To be able to see how they got on and contact their descendants is amazing. 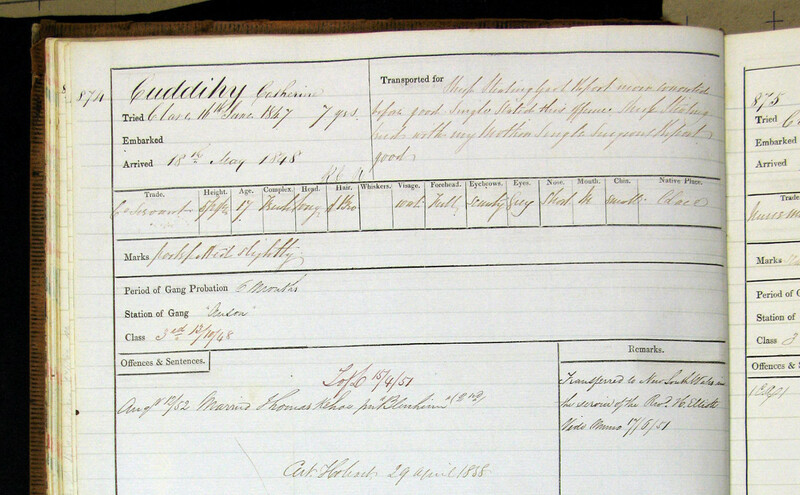 All states in Australia have lists of convicts at their corresponding archives. If you are specifically looking for those sent to Tasmania, just put in a search for Convicts to Tasmania and it should open at the Tasmanian Archives. You can search by name, where you will be directed to code numbers which you click on. They are the convict records, convicts descriptions, the ships they were transported on and permission to marry lists. Copies of the original book covers and pages are in color and now online to view easily. Is there a list or a data base where one can search transported convicts? Sorry, that should read Grangegorman to be turned into a Tafe college! !Can't find "edit comment". Must be getting old!! My condolences Viking. I know a bereavement can turn one's life upsidedown. I hope you can come to terms with your loss and come up smiling. Apologies for the gender error!! Just got an email from someone who recently visited Ireland and saw that the Grangegorman prison building is to be gutted and turned into a coffeeshop!! How sad. Any confirmation would be appreciated. I do find sites like this very beneficial when readers help each other. Even information that appears insignificant at the time, can often open new doors. By the way, Etty Dunne's name has now been added to the list of convicts on the "John Calvin" at the Female Convicts Research Centre Inc. as a result of corespondence to them. If anyone has a relative missing from one of the lists, let them know. They will update the site ASAP. Thanks for this Article Viking! To Micheli and Wendy I am glad you were able to get the information you required for your family research. Thanks for the comments about my article too. Wendy the National Archives of Ireland has suffered with job cuts as have many of our public services because of the economic situation that our previous government left us in. But that does not excuse bad manners either, they should have acknowledged your email. I also want to apologise to you for one of your comments not being accepted and posted. It was languishing in the spam folder and I did not see it until I read your following comment.and went looking for it. I have only been reading and accepting the comments quickly without replies because my father died suddenly a few weeks ago. And to whoever it was in Dublin who read these comments and helped out Wendy with her research I thank you too. micheli, Thank you for that follow up. There are some amazing people out there. Someone in Dublin must have seen one of my postings and emailed me the relevant pages from Etty's and her brothers' Dublin Prison registers!! He located them on his genealogy membership site. How kind is that?? I assume the Archives of Ireland have released the registers for Family History research purposes. 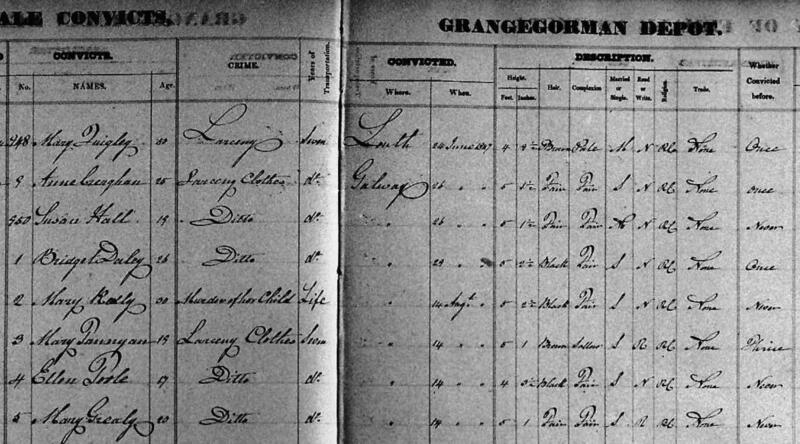 The Grangegorman Prison Register confirms our original belief that Etty Dunne was held for a time at Wicklow Gaol. Not a great deal of info on either record but we now have the evidence that we were looking for. Not sure if it has been mentioned here but the women who were transported to Tasmania on the John Calvin served part of their sentences on the hulk of a disused battleship called the Anson. It was moored in the Derwent River. That part of their history is another interesting and well documented story, if anyone wants to learn more about them. The one in my community is far from state of the art - the computers were slow, a couple of images did not save properly and I have to go back. Not perfect but I managed. Perhaps you could give it another chance...all it cost me was my bus fare. there is a site in Tasmania that I don't think has been mentioned here. It is called Female Convicts Research Centre Inc. They are compiling personal histories of women transported to Tasmania and are looking for photographs and names of female convicts that they do not have on their register. They are also running a project where descendants of these women can submit stories of their convict ancestors. The lists of convicts on some ships are incomplete and they would appreciate your information. Funnily enough, my Etty Dunne is not recorded on their list for the "John Calvin" even although she appears on the official convict records for that ship!! Then to see an image look for the LDS famy seach centre in your area...you should have one as they are all over the world. I live in Canada and I obtained copies of the originals last Tuesday. No need to hire or spend money on a researcher. LDS even has a research centre in a reference library in my city. This message is intended for anyone living in hope of obtaining copies from the "Grangegorman Female Penitentiary" Register. My correspondence with the National Archives of Ireland was ignored. A recent search of their website clearly indicates that they will not undertake research, photocopying or scanning for members of the public. They have posted a list of professional researchers whom are available to conduct research for anyone living outside Ireland or cannot visit the Archives in person. Living in Australia, a personal visit is not possible for me. I have been quoted in excess of 50 Euros for one page. The Archives do confirm on the website that they hold the abovementioned Register. Wondering if anyone in Dublin, who lives near the establishment, does free lookups?? Thanks Viking 305. Very interesting article! I have recently been looking through the registers - for me as I do not live in Ireland, my method is going into an LDS family search centre. I did this just yesterday. I saw "transportation" as a sentence listed in some of the registers. My 2nd Great Grandmother spent two months in Grangegorman in 1892 however she was not sentenced to transportation. The records are so interesting. I now know that she was 5ft6 inches with hazel eyes. You must give them all the details of name date ship etc which you have given in the comment when you email them. It could take weeks but if you hear nothing keep emailing them. Like Aussiemeg, my gr gr grandmother was transported to Tasmania in 1848 on the John Calvin. Etty Dunne by name and stole mutton and wool. 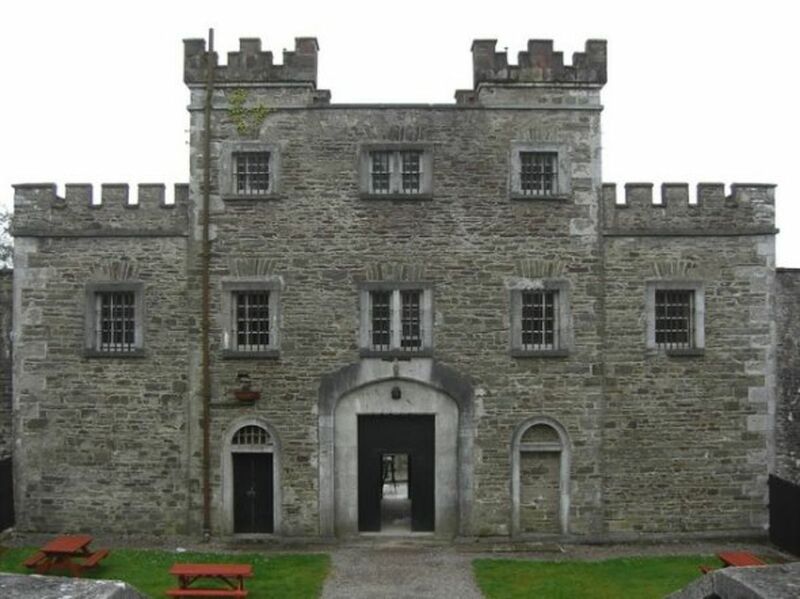 The family researchers had always believed that she would have been held at the Wicklow Gaol. When I located your pages. I was amazed at the information therein. I am trying to contact the Museum of Ireland in the hope of obtaining a copy of the relevant page from the Grangegorman register but there have been considerable delays with their response. Could you advise if I have contacted the correct establishment? Etty was married to a fellow concvict after only 12 mths on the Anson and raised a family all of whom did very well for themselves. Only recently discovered that two of her brothers followed her a year later, both transported together for the crime of stealing a sheep. They were in the same town in Tassie as their sister, so not all bad news. 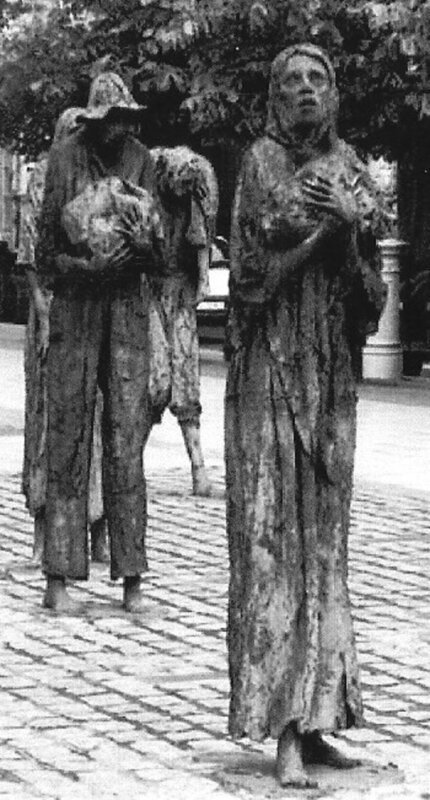 The women usually stole food for the children to survive because it was during the Famine years in Ireland. Children were routinely put in jail and often part of their punishment was being whipped a certain amount of lashes a week too. Those women and children that survived their journey to Australia and the first year often went on to have a better life there than they would have had in Ireland. Thank you Thelma for taking the time to leave a comment. A very interesting, well researched and well written article. I enjoyed reading this. I have read some novels about these famale women who were convicted to jail and transported to Australia for just stealing a piece of bread because of hunger. Thumbs up to these strong women. Thanks for sharing this Irish history. Voted up! Thanks everyone for reading, I appreciate your comments. Hello Liz it is great to hear from you again! I have contacted you through the private email on Hubpages. Hello Lorraine, It is great to see the article up and published online-it has been some years since we corresponded. I have been a little slow in my research of the Cuddihy girls and families of late but I have finally located all but one of the children of Thomas Kilroe and Catherine Cuddihy. I also located the deaths of Catherine and Thomas after many many years of searching. Unfortunately Ann and John Early's girls still elude me as well as Mary's death. I do know now that Matthew Hares was an alias and that he was actually Richard Phippen Wreford. They were married in Melbourne Victoria. I wondered if this is where she was going when she was 'caught' by the authorities trying to board the steamer the year before. It was really interesting to read Jim's family history within Irish historical content. Would love to hear from you again. Impressive article.I enjoyed reading this. Tremendous hub viking 305. Well researched and very interesting. Another fantastic article you've written here. Voted up and useful. Thank you. I never knew much about Australian history and I found this extremely interesting and well written. Voted up. Thank you Colleen and Christina for reading the article and your comments. Yes Colleen Our history determines who we are today. If Irish history were different I would have Irish as my first language and not English. And your Grandparents would not have ended up in Montana. Christina the Memorial to all women transported as convicts to Australia - Roses from the Heart(R), is a great idea. I was in contact with members of the Cuddihy family many years ago when I was researching this subject. I have unfortunatly lost contact now. I am not a relative. You would be able to make contact with them and other decendants of convicts by clicking on the Australian link I have previded in the article. As part of my Memorial to all women transported as convicts to Australia - Roses from the Heart(R), I have received bonnets made for the Cuddihy women. These bonnets have already been taken back to Ireland and will be part of a major 'Blessing of the Bonnets' before all the 25,566 bonnets are returned to Australia to be part of a major permanent public installation. Are you related to the Cuddihy convict women or are you in contact with any of the descendants. I would be very pleased to have a conversation with any descendants. Thank you everyone for reading and commenting on the hub. Aussiemeg: I am delighted to connect with a direct descendent of one of the Irish Convicts on board the John Calvin convict ship. I would be very grateful if you would email me and let me have any information about your Great Great Grandmother Mary Byrne. I would like to write an article about how she got on when she arrived in Australia and her descendants. You can contact me through privately through the Contact viking305 button on the top right hand box under my Profile here on this article. My Great Great Grandmother, Mary Byrne from Co Wicklow, was a convict on board the John Calvin. She was sentenced to 7 years for stealing 5 stone of potatoes in 1848. I'm fascinated as to how she moved them, being 5'1/4" tall, and also how she found this many in 1848 - they most probably were rotten. Her 4 year old daughter came with her. Wonderful work here, lots of great research! I saw a documentary about the convict ships of women being sent to Australia. The abuse of children, (being charged with larceny for stealing food to eat because they were starving for example), seems to have been commonplace. A sad commentary on our collective past. Beautiful and awesome hub!!!!!!! Great History! This was a great bit of history. Thank you. You are a good researcher. transportation was preferable to starvation but barely so. Old habits die hard. The English government was still enslaving its lower classes up to 1974, when the program of forced deportation of lower-class orphans to Commonwealth countries, including Australia, that needed cheap labour. 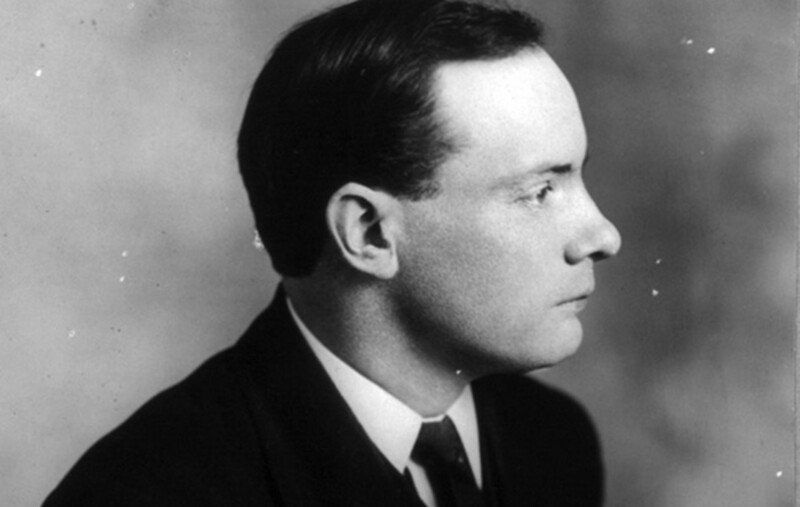 The program lasted through the administrations of Churchill, Atlee, Eden, McMillan and Hume and was implemented originally by the English civil service, none of whose members can ever be held to account for their despicable behaviour. Hello Sally's Trove and thanks for reading. Yes the youngest female prisoner on the John Calvin convict ship on that trip was 12 yeard old. I had known that Australia was a penal colony, but had never thought that women and their children were caught in this as well. That's just Yankee ignorance on my part. Thank you so much for illuminating another side, a very dark side, of the story. I can't help but wonder, with the recent election, what the heritage of the PM is. Thanks for reading Pamela, yes they allowed the female convicts to bring their very young children with them to Australia. yes ajor You are correct. I think of them as the Australian Authorities but they would have been the British Authorities at that time. I will certainly have a read of your article the First Fleeters because I am fasinated by all Irish History and Australian History too. Thanks for reading the article ajcor and your comment. Yes all convicts sent to Australia were basically looked on as slaves. Yes they were there because they had committed a crime, some were serious like murder and assualt. But the majority were sentence to transportation for stealing food during the Famine years as is the case for the women and children on this convict ship, the John Calvin. Even when there was no famine the poor of Ireland and England needed to steal just to survive. So the Australian authorities demanded that the convicts were trained for the slave labour they were to undertake. I find it amazing that I have never heard of this early training of female convicts prior to their shipment to Australia...great hub...cheers and thanks. Jay thanks for reading the article. Nemingha thanks for reading the article and your comment. Yes where I live there are a lot of old buildings which I did reseach on. And that's how I found out about The goings on at the Grangegorman Prison. 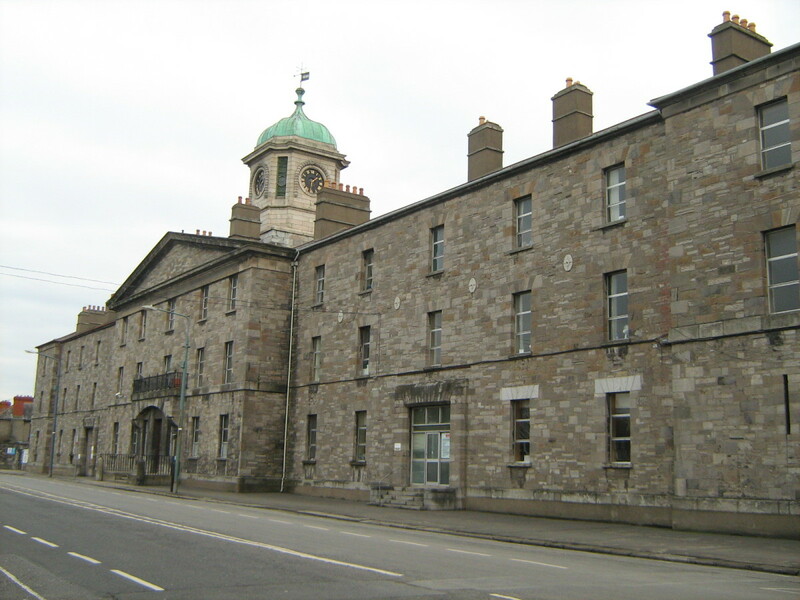 It is still used today, part as administraion offices for the Eastern Health Board and part for the the Dublin Refuse Collection. Liked the part of the nuns. Wouldn't it have been common sense for the Australians to do that. You've obviously done a lot of research for this article and it was very well put together. Thanks. Yes I have always found Australian history and how it was populated very interesting myself. First the convicts in the early centuries, then the assisted passage in the 20th century, in order to encourage more people to settle there. And now in the 21st century only certain professions can settle there. It is amazing how things chance. I lived there as a child for a few years in the 1960's so have a soft spot for the place. I really enjoyed all the history. Thank you. Well written.